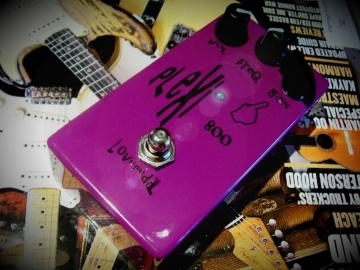 The Lovepedal Purple Plexi 800 Overdrive pedal gives you two Marshalls in one. This little guy makes any amp sound like either a Plexi or a cranked JCM800. The Purple Plexi features Volume, Frequency, and Gain controls. The Frequency knob acts more as a Voice control than a tone knob to help you tailor the sound to your amp.